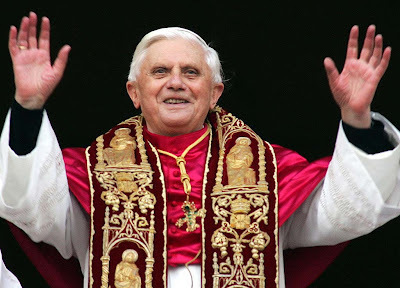 Pope Benedict is pushing for more Latin Masses but most of his reforms do not trickle down to Buffalo. In Buffalo, we like ignoring things that could mean more work. We do not like things like that, oh no no no. We choose not to see the Holy See. How is that for 8 a.m. on a Sunday with hardly any coffee? Ahahahahahaha! Which is why this Holy Thursday past I was stuck going to an English language Mass. And it was like culture shock! In the whole last year and a half I have never missed a Sunday mass in Latin, except for that one Sunday when I was sick. Here is what I am learning: I cannot handle English language Masses anymore. People dress weird, in sneakers and Bills sweatshirts. The casual attitude is alien to me. This one sneaked up on me -- I did not realize at the Latin Mass that I was getting used to a whole new ambience. You walk in late only when you absolutely cannot help it. You do not whisper to your neighbor. You concentrate. You would never leave early. It is different at the modern Mass! Which, I cannot blame these modern Massgoers. There was a time when this casual atmosphere was charming to me. It was all I knew and I thought I saw a kind of sweetness in it, in the schlepping in and out of the church whenever you felt like it, in the chatting, in the mind wandering. Plus how is a song like this going to clue you in to that anything important is going on up there? I am just saying. But I just cannot handle it now. Here is a word I cannot handle: missalette. On the other hand I love the word kitchenette. It is so 1950s! 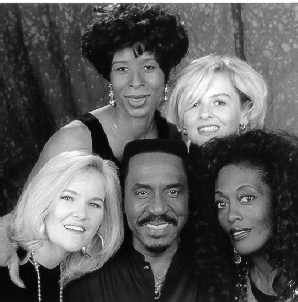 What about Ike Turner and the Ikettes? Yesterday I mentioned how I liked the Kaiser even though many considered him an unsavory character. I feel the same about Ike Turner. I like Ike! Missalettes and modern Mass songs. I notice my computer does not recognize the word "missalette." That is as it should be. Of course it also does not recognize "Pennario" even though I have been writing this book for over a year. Every time I mention Leonard Pennario, there is that red underline. Laptop, get with it. About the modern Mass songs, here is something good. Just now when I had to link to one I had to sit here forever thinking of one. They are vanishing from my memory! The pope is trying to stamp out this cruddy music, is what he is doing. See that picture up above? That is him signaling everyone to turn it down. And I say bravo! I cannot wait until the day when I can turn on Catholic radio and not hear cruddy music. I love Catholic radio for the call-in shows but you would not believe the crappy music they play. And this is the religion that can claim Mozart, Beethoven, Schubert, Strauss, Bruckner, Mahler, etc., etc., etc. God, I say, please let the pope live another 10 years at least. Because that is how long it will take for his reforms to trickle down to Buffalo! Hmmm Being just a confused and Catholic ignorant Southern Baptist, I am only sure of one thing here. The Polonaise is magnificent! Since you mentioned Catholic Church music, you and other interested readers might want to take a look at "Jean Langlais, The Man And His Music" by Ann Labounsky. Langlais played the organ at St. Clotilde Church in Paris (the first organist there was Cesar Franck) and was very involved in the Vatican II art vs. anti art struggles. All of this is covered in detail in a chapter of her book titled "Vatican II Conflicts 1959 - 1972". For anyone who lived through this (I did) and is interested in art music, it makes fascinating reading. Another point is to remind any artistic church goer that a lot of the clergy even in the Latin days was threatened by anything that pinked their vanity. I think the Archbishop of Salzburg once told Mozart that the problem with his music is that it attracted too much attention to itself. Nowadays, the Archbishop is only remembered because of his connection to Mozart, but knowing that is no help to Wolfgang when he lived. If it wasn't for Fr. Secondo's generosity, St. Anthony's or any other diocesan site in Buffalo that provides the 1962 liturgy wouldn't offer 1/2 of what they do. Long story... talk over your concerns with him. LarryC, I am so grateful for all the Pennario you are posting on Facebook!! That always cheers me up!! Prof G, I am very interested in that chapter on Vatican II Conflicts. What a title. About Mozart, yes, I think in that time the Catholic church was not sure how much was too much as far as music was concerned. I can kind of see their problem. But I always got the idea Mozart enjoyed that whole conflict. He liked a fight. How ironic--if you wanted to celebrate with the Langlais "Missa in Simplicitate" (in Latin, of course) in Buffalo this morning, you would have had to walk over to the Episcopal Cathedral. As Mary might say, go figure. Ward, that is amazing!! What a coincidence! It sounds as if you do wonderful things at St. Paul's. It will slowly grow; Pope Benedict has planted the seeds for change and it will grow organically. We just have to hope and pray for the future.